State Department spokeswoman says PA not a country so can't sign up to Rome Statute, as Congress threatens to cut all funding to PA. The Palestinian Authority is not eligible to join the International Criminal Court, a senior US official said Wednesday after the UN accepted a Palestinian request to adhere to the tribunal. "The United States does not believe that the state of Palestine qualifies as a sovereign state and does not recognize it as such and does not believe that it is eligible to accede to the Rome statute" under which the ICC was set up, said State Department spokeswoman Jen Psaki. She also stressed that the US administration would comply with the law on funding the Palestinians, amid new moves in Congress to freeze about $440 million in annual aid if the Palestinian Authority seeks to join the court. The United States, however, is not a member of the International Criminal Court, and it remains unclear what power it has to block the move after UN chief Ban Ki-moon accepted the PA's request late Tuesday. Psaki said the administration was in close consultations with Congress, and State Department lawyers were still looking at the implications of existing legislation. Under the US budget for fiscal year 2015 passed in late December, aid to the Palestinians would be cut off if it tries to haul Israel before the court on war crimes charges following the 50-day war in Gaza. But Senator Rand Paul late Tuesday introduced a draft bill which would freeze all monies to the Palestinians even for seeking recognition at the ICC. Psaki's statement comes a day after the PA formally recognized the court's jurisdiction, as a first step towards carrying out threats to charge Israel with "war crimes." Acceptance of the ICC's jurisdiction differs from accession to the Rome Statute, the Court's founding treaty. The UN is still reviewing documents submitted by the Palestinian Authority to join the Court. 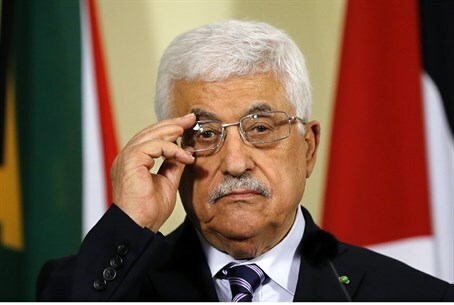 The decision by the PA to turn to the ICC - after years of threatening to do so - is controversial not just because it breaches previous treaties with Israel, in which both sides committed not to take such "unilateral action," but because it could potentially backfire. By accepting the ICC's jurisdiction the PA also makes it possible for claimants to lodge charges against it and other Palestinian factions for alleged war crimes committed against Israelis. Indeed, on Monday, legal rights group Shurat Hadin filed three more war crimes charges against the Palestine Liberation Organization (PLO), the organization headed by Mahmoud Abbas which runs the PA, in the ICC. The PLO already faces criminal charges being levied against it in the US court system for terror attacks it committed during the early 2000s. The ICC application could also have other political ramifications. After the Palestinian Authority formally presented its request to the United Nations to join the ICC on Friday, Israel announced it was delaying the transfer of $127 million to the PA in retaliation. Similarly, Washington - the PA's largest donor - said it is "reviewing" its $440 million aid package to the PA over the move. Technically, however, only if the PA actually files war crimes charges against Israel would it be open to such a penalty under American law.